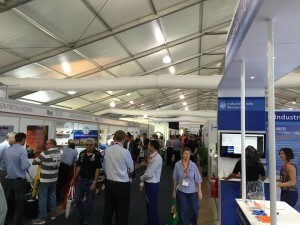 The Queensland Mining and Engineering Exhibition has closed for another year. REEDMININGEVENTS director Robby Clark told Australian Mining this year’s show had around 200 exhibitors from a range of countries including China, Poland, and the US, as well as local businesses. Companies like Toyota, SEW Eurodrive, ESS Engineering, Flexco, Metso, and Endress + Hauser were all on show. SEW Eurodrive also used the event to announce to its plans to open a new facility in Mackay, to support the region, early next year. Despite the current mining slump, Clark said there had still been strong interest in attendance for the event, stating as of the night before the show there were more than 4500 pre-registrations, as well as a number of miners bussing in from site over the length of the event. 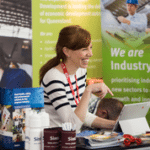 He went on to say there was more than just technology on stands, adding there were a number of informative seminars and live equipment demonstrations. Mackay mayor Greg Williamson welcomed the opening of the event, stating “QME has long been associated with Mackay, and were pleased to host this event”. He went on to say events like this, as well as record export levels from Hay Point and Dalrymple Bay prove that it is still a strong industry, adding that while high prices are no longer the norm, the industry is shifting to become more sustainable. Speaking to QME organiser REEDMININGEVENT’s executive director, John Gorton, he told Australian Mining that while the event has been smaller this year compared to previous events in terms of space, exhibitors, and attendance, there’s evidence that exhibitors at QME have engaged with high quality buyers and specifiers. The exhibition itself was not the only event on during the week. The Bowen Basin Mining Club also held the Queensland Mining Contractor awards in conjunction with QME. The event – hosted by Women In Industry awards finalist Jodie Currie – highlighted innovation and excellent work and products that have been carried out or developed by Queensland contractors, such as dramatically slashing project time, or creating an app designed to monitor worker mental health. The TEAM Group won the Queensland Mining and Energy Bulletin’s Contractor of the Year award for its development of a unique lift solution for a 143.6 tonne portal frame, cutting the number of cranes needed and delivering the frame to site with structural integrity intact. This year’s even being noticeably smaller than the previous two QMEs did not concern Gorton. “Events like QME are a barometer for the state of the industry,” Gorton said.